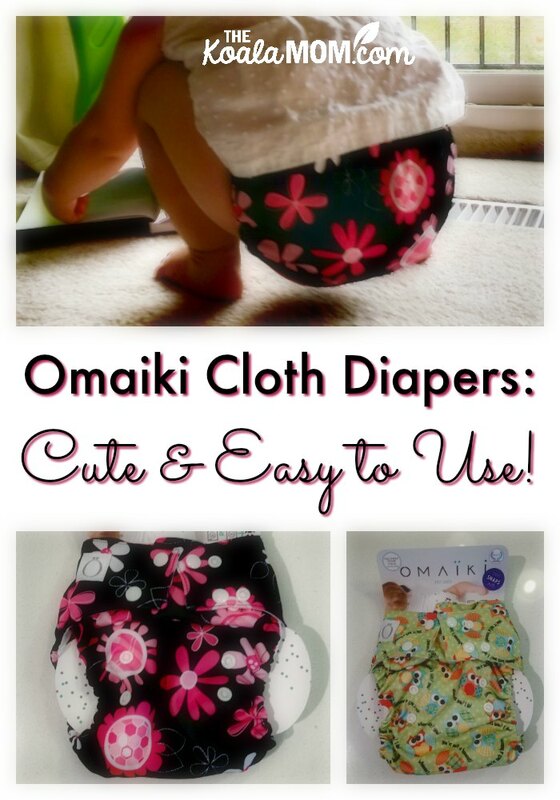 Omaiki Cloth Diapers: Cute & Easy to Use! I’ve been using cloth diapers since my oldest was a baby. In those nine years, we’ve been through two sets of cloth diapers. I’ve always stuck to pocket diapers and all-in-one diapers, because they seem the easiest. Recently, I discovered Omaiki Cloth Diapers. I was so excited to add a couple of their cute diapers to my existing stash! Omaiki has a huge line of cloth diapers and diapering products, from hybrid diapers to all-in-one diapers. After browsing the site, I once again chose all-in-one (AIO) diapers. Sunshine helped me pick two adorable prints (which was a little hard, since there are soooo many cute prints on the site!). In the past, I’ve gone with gender-neutral colours for our cloth diapers—greens, yellows, whites. This time, I decided we’d go all out for cute and pretty. We picked the popular pink-and-black Flowers and the adorable Owls. I’m not sure Pearl cares yet about what’s on her bum, but having pretty prints makes diaper changes more fun. Omaiki AIO diapers come with either aplix (velcro) or snap closures. My first set of cloth diapers was Velcro, and I found that the Velcro wore out very quickly. Since then, I’ve gotten snap diapers. I’ve found Omaiki cloth diapers easy to put on and take off. There are two rows of snaps at baby’s waist, so you can adjust the diaper for your baby’s size. One thing I really like about the Omaiki AIO diaper is that it’s not a pocket diaper. No stuffing diapers after washing them! It’s easy to snap in the mini-insert, fold the diaper, and drop it into the drawer. It’s as simple to use as a disposable diaper. 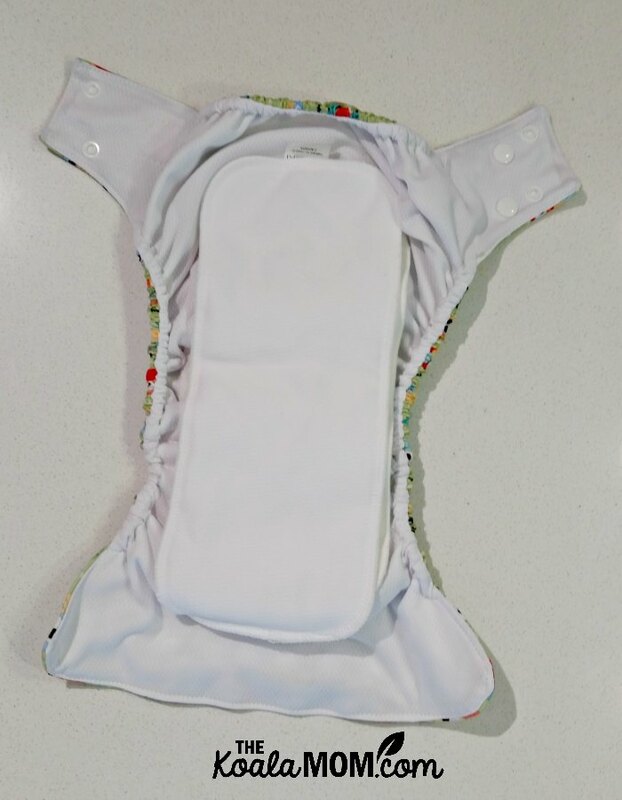 The diaper actually has three absorbent layers: a bottom layer in the diaper itself, a sewn-in layer, and the snap-in mini-insert (which can be removed for newborns). The outer shell is soft, breathable, waterproof fabric, while the absorbent layers are bamboo and organic cotton, topped with a polyester stay-dry fabric to help protect baby’s bum. I’ve also appreciated the fit of these diapers. You can see the curve (and snaps) above. Three absorbent layers may sound like the diapers would be bulky, but they aren’t. They fit Pearl nicely and snap on easily, and the extra layers make me confident that we’re not going to have any leaks. I’ve been using these diapers for nighttime (when she needs more absorbency) or when we’re going out for a while. However, I also have skinny kids, so I’ve wondered how the diapers would fit a chunkier baby. Omaiki AIO diapers are supposed to fit a baby from 8-35 lbs. Pearl is around 25 lbs, I think, and the diapers fit her reasonably well. I’ve noticed these diapers are slightly smaller than my other diapers. If you have a chubby baby, you may want to try one or two diapers for fit before ordering a whole stash. Now that Pearl is at the wiggly-diaper-change stage of babyhood, it’s handy to have diapers that go on and off in a snap. 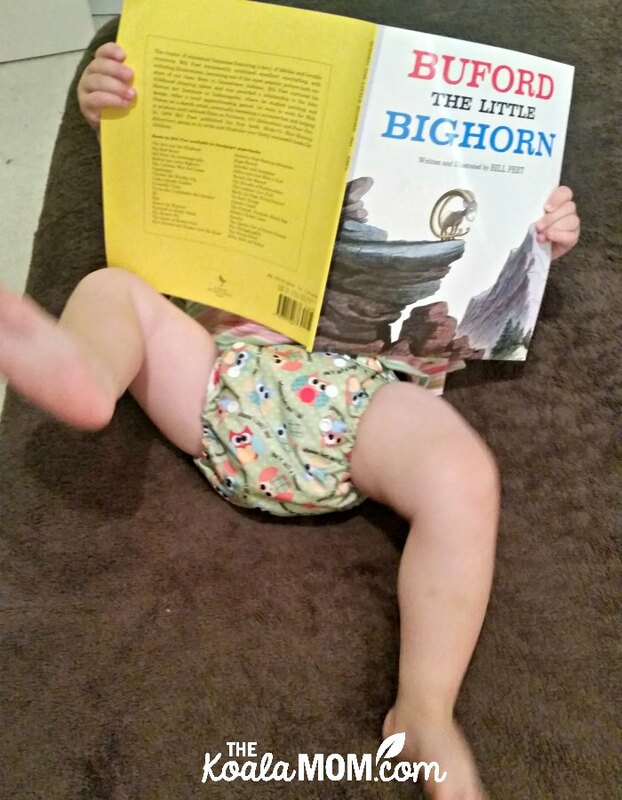 Sometimes she likes to read a book while I’m fixing her diaper. Sometimes she likes to pick what colour her diaper is (most days she doesn’t care). Sometimes she’ll tell me when she needs a diaper change by getting out the wipes. And once I said “aaaack!” when I was surprised to find she had a poopy diaper, so now she often says “aaaak!” when I take off her diaper. With the hot summer we’ve been having here in Vancouver, I’ve been letting her run around occasionally in just her diaper and a top. My oldest three girls were all spring babies, so many of the clothes they’ve handed down to Pearl (a fall baby) are the right size but the wrong season. 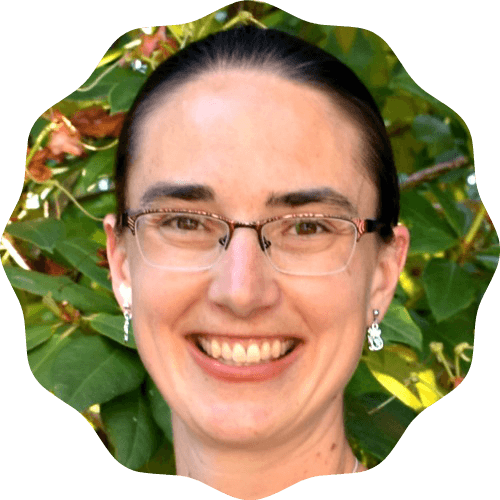 She has a large wardrobe of pants and long-sleeve shirts. So she’s been wearing summer dresses, and a few summer tops (which the other girls hardly wore!) along with her cute new diapers. I gotta say—cloth diapers look much better than disposable diapers! The Omaiki cloth diapers have also been easy to wash. I think the polyester layer makes it a bit easier to dump any solids into the toilet before washing. The three layers also seem to wash and dry better than the thicker liners of my other diapers. Of course, using the right detergent helps your diapers last longer. I use Norwex Ultra Power Plus detergent for my diapers and I’ve never had a problem with odours or stains. Next up for Pearl: potty training. 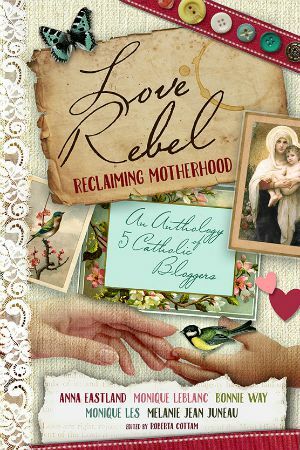 I’m debating whether to attempt that before the new baby arrives (just after Pearl turns two). Sunshine potty trained around two years old (just before Lily arrived), but Lily and Jade didn’t potty train until closer to three. If I have two babies in diapers, I’ll need a few more in my stash! Or maybe I’ll pick up some of Omaiki’s training pants to encourage Pearl to use the potty. 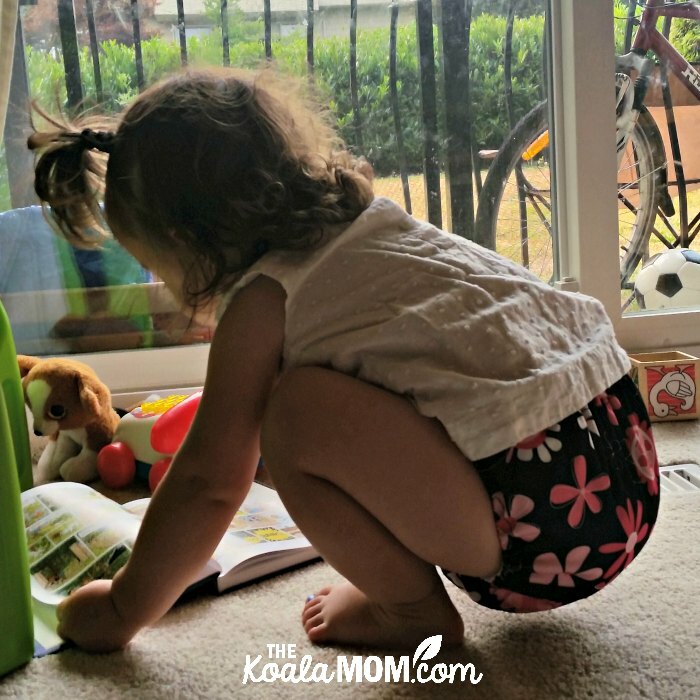 Have you used Omaiki cloth diapers? Which are your favourite prints or styles? Are you ready to make the switch to cloth diapers, but feel like you need to use up the last box of disposable diapers you bought? Go ahead and buy those cute cloth diapers, and donate your unused disposable diapers to From the Bottom Up Foundation to help low-income moms in Vancouver! 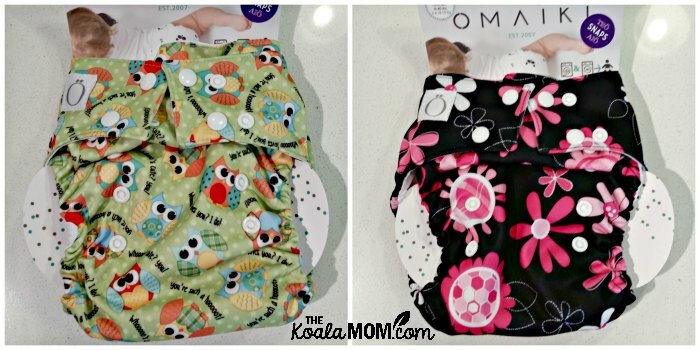 I received two Omaiki cloth diapers for this review; all opinions expressed are my own.